potentially dangerous shifts in climate and weather. frequent and severe heat waves. The planet's oceans and glaciers have also experienced some big changes - oceans are warming and becoming more acidic, ice caps are melting, and sea levels are rising. As these and other changes become more pronounced in the coming decades, they will likely present challenges to our society and our environment. 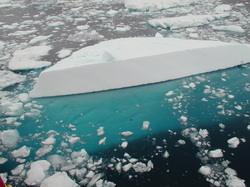 Greenhouse gases act like a blanket around Earth, trapping energy in the atmosphere and causing it to warm. This phenomenon is called the greenhouse effect and is natural and necessary to support life on Earth. However, the buildup of greenhouse gases can change Earth's climate and result in dangerous effects to human health and welfare and to ecosystems (from the EPA website). -Climate Refugees Trailer - This film is about what happens when an over populated world with lack of resources and a changing climate all collide with each other. An intersection of humanity that many are calling the greatest challenge mankind will ever face. In the Last 500 million years, the earth has experienced five mass Extinctions. We are at a critical moment. What happens over the next 50-100 years will determine what the earth looks like for the	next ten million. Scientists around the world agree that the 6th mass extinction is upon us. For the very first time in our planets history, this mass extinction is not being driven by natural catastrophes, but by the impact of one species. Homosapiens. The 6th Extinction - This excellent 5 minute short film probes the extinction crisis and examines solutions to protect the	earth's gift of biodiversity. 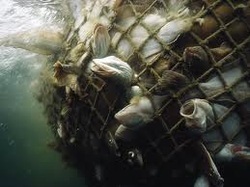 We have already overfished many of our waters and more intensive farming practices are putting pressure on local water supplies and demands for basic foods such as wheat and fishmeal. Peak wheat production has already been and gone. What happens when there is no more water for irrigation to grow the worlds food or when the demand for food cannot be met? As demands for cheap readily available food sources increase along with increasing world wide populations, so intensive farming of livestock to increase productivity is on the increase. But is it sustainable and what are the alternatives? The ethics - There are serious welfare issues associated with intensive farming practices. 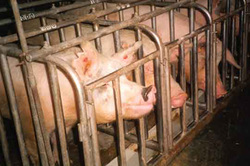 Although intensive farming of many animal species (particularly pigs and hens) is now illegal in several countries within the EU because of welfare issues, battery farming of chickens and intensive farming of pigs is legal and widespread practice throughout Australasia. Human health - Intensive farming practices have been linked to the outbreak of emerging infectious diseases. As animals are held in more confined areas, in areas where they overlap with wild animal carriers, the risk of a spillover pandemic increases. Environmental health - Intensive farming impacts on the environment as effluent is dumped into local soils and waterways. Alternative farming methods (free range) may take up more space but are healthier for all. Space is only an issue when our numbers demand ever increasing food supplies. 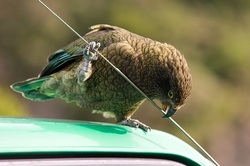 - We are losing species as well as entire ecosystems. As a result the overall ecological unity of our ocenas are under stress and at risk of collapse. - We are at risk of lsing a valuable food source many depend upon for social, economical or dietary reasons. Water use worldwide doubled between 1960 and 2000, during which time world population doubled. It means that although the average per person water use has remained about the same (Population Matters) and increasing worldwide population is depleting the worlds fresh water resources at an unsustainable rate. Many ancient aquifers have disappeared or dropped to alarming levels as more water is required for agriculture and human drinking water. Water is already more precious in many countries than gold and wars are often fought to secure new water sources. proper toilets or sewerage systems. 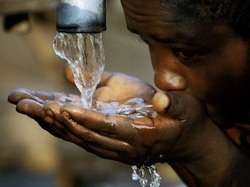 More than five million people die each year from water-related diseases such as cholera and dysentery. All over the globe farmers and municipalities are pumping water out of the ground faster than it can be replenished.” - Fen Montaigne, (National Geographic). 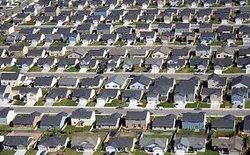 An increasing worldwide population requires more space to live in. Much of this space is newly cleared wilderness areas or land once used for food production. Sensible building plans are needed to ensure that our natural areas are preserved, not concreted over. 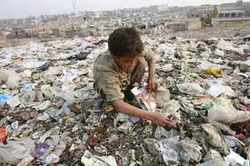 As populations increase so too does consumption, pollution and waste production. Developing countries with high populations and poor infrastructure are now coping with serious air pollution, water pollution, and leaching of toxins into the soil. Not only does this create a serious health issue for the people living there but also creates a serious issue for the environment. 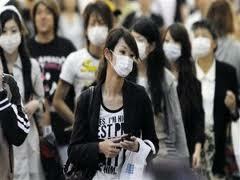 As our world population expands so to do we increase the liklihood of exposure to emerging infectious diseases. The majority of infectious diseases today are zoonotic in nature - in other words they are passed from animal hosts (where they may not cause any harm) to people. Zoonotic diseases include the influenzas, the plague, TB, SAR's, Ebola, Aids, Lymes disease and a host of others. They pass to human populatiosn from wild animal reservoirs when conditions are right: in other words when there is direct contact between the species, amplification of the wild disease in a carrier species (such as domestic pigs, chickens, etc), high human population densities for ease of disease spread, and rapid travel of people between countries to turn the disease into an pandemic. The risk of stumbling across new infectious diseases is significantly increased as man ventures into once wild habitats, clear felling forests for agriculture and space and through intensive farming practices which increase the possibility of transmission between a host species and humans. To find out more we recommend reading David Quammans book - Spillover.